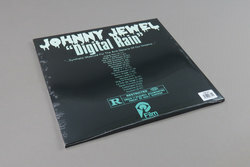 Johnny Jewel - Digital Rain. Vinyl LP, CD. Bleep. Johnny Jewel you may know from collaborations with filmmakers David Lynch, Nicolas Winding Refn, and Ryan Gosling, Chromatics, Glass Candy, and Desire. Yet his solo material is well worth becoming acquainted with, as the wide open synth-scape worlds painted in Digital Rain portray. 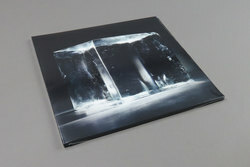 Described by Jewel as a mirror image of itself designed to play as a singular liquid movement Digital Rain features some truly immaculate production, at once sounding in parts like a maximal dreamt up Zomby x Cluster collab and in others like a frozen ice bar debut of an alternate score to Blade Runner 2049.